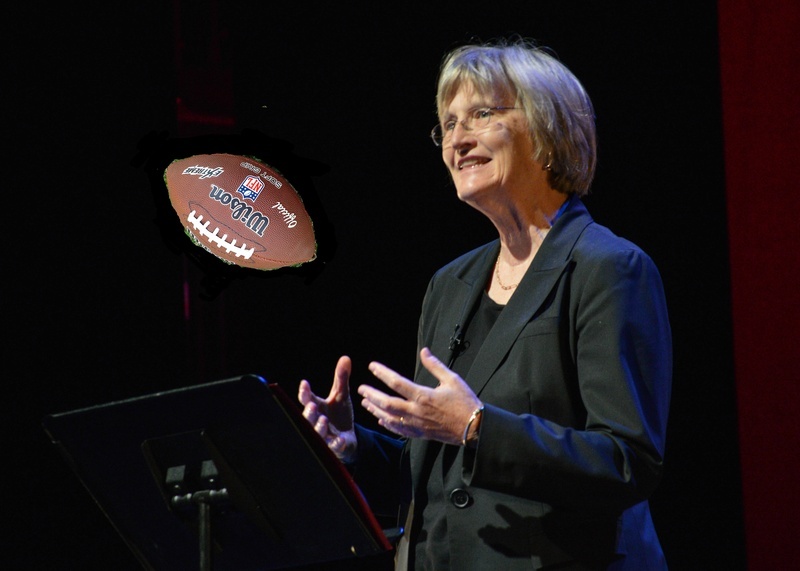 As an adopted Bostonian, University President Drew G. Faust is, of course, a diehard Pats fan. And like her fellow New Englanders, she seems to still be recovering from last week’s heartbreaking loss to Peyton Manning and the Denver Broncos. Brutal. Us too, President Faust. (Just kidding—we don’t care about sports unless it’s Harvard-Yale). So with the Super Bowl approaching, Flyby went knocking on Mass Hall to ask some hard-hitting questions. But most importantly: who was she going to root for on Sunday? “The Patriots,” she said, forlorn. While Superbowl L (why does the NFL think it’s important enough for Roman numerals?) might not be her ideal matchup, Faust joked that she knew the Patriots were not, in fact, playing on Sunday. Flyby was grateful for this clarification—aren’t the Patriots in the Super Bowl every year? What is a “deflategate”? Isn’t Tom Brady, like, mayor? Faust did give her two cents on the game—come Sunday, she says she’ll be looking out for the Panthers. “I’m actually curious because I haven’t watched the Panthers play and they’re supposed to be really good, and so I’m curious how good they’re going to be. We’ll see,” Faust said. No word on how Faust will be celebrating given a Panthers win, but we’re sure she’ll figure something out. Hey, she might even go wild with a couple of s’mores.